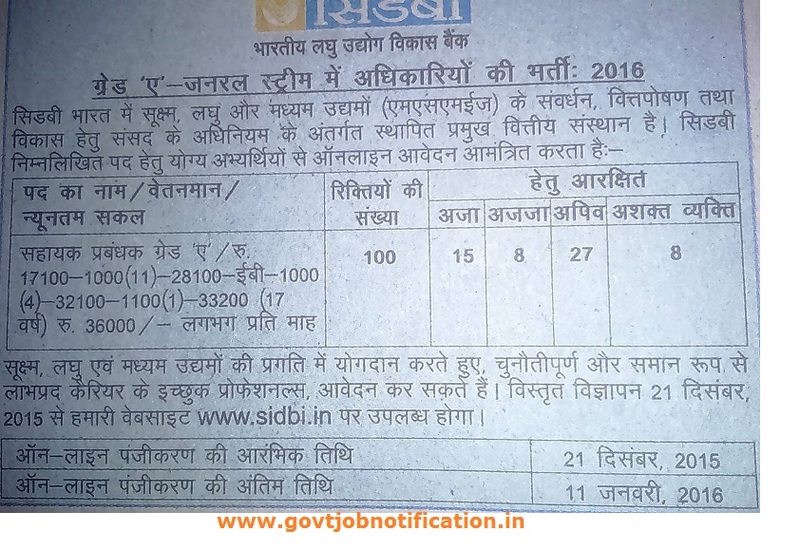 SIDBI Recruitment 2016 www.sidbi.in Advt For 100 Assistant Manager Grade A Post. Small Industries Development Bank of India (SIDBI) Has Published the Recruitment Notification for Assistant Manager Grade A Posts. Eligible Interested Candidates Can Apply Via Online Mode. Last Date for Submitting Online Application form 11 January 2015. 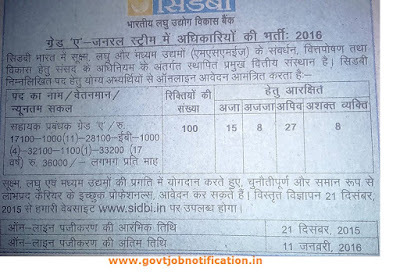 Small Industries Development Bank of India (SIDBI) Recruitment 2016 For Assistant Manager Grade A Post. Details Notification Will Out Soon.